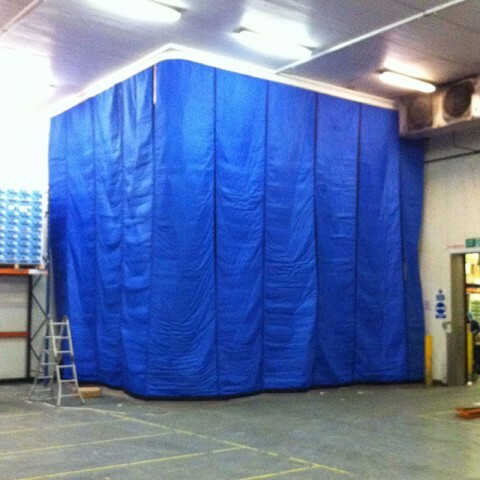 Temperature Controlled Zones are a modern, inexpensive answer to instant temporary or permanent chilled storage spaces in supermarkets, food companies, warehouses or packing areas, to divide temperatures. • An instant coldroom or divider in times of high demand. • Two-way pelmet system keeps cold air in and ambient air out. • Light weight, hard wearing and easily cleaned, repaired or replaced. 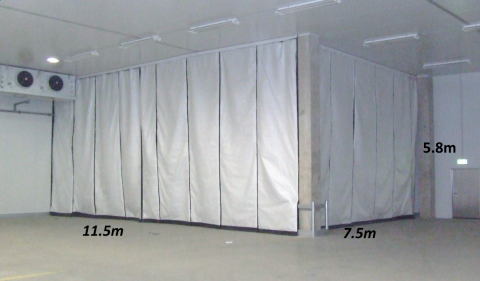 • Cold Lock skirt adjusts to uneven floors and can be removed to clean or replace.